The College of Saint Rose is committed to following best environmental management practices in all operations; preventing, or minimizing pollution, and using educational activities to promote environmental awareness, local action and global concern. The College is fortunate to have a wide range of academic programs and faculty committed to the goals of climate neutrality and sustainability. A number of faculty have active research programs with a focus on sustainability issues. This research directly benefits students and the College’s instructional program. In addition to the curriculum, a number of co-curricular and extra-curricular initiatives illustrate the breadth of campus-wide engagement by students, faculty and staff. For example, the Provisions Program provides opportunity for faculty discourse related to pedagogical innovation around such topics as “teaching sustainability.” Similarly the “Year of Sustainability” (2011-2012) orchestrated campus-wide discourse and action to support sustainability. The College has offered in-service Summer Teacher workshops since 2007. These single-day programs, serving 15-20 teachers each from inner-city and “high needs” districts, have focused on hands-on, inquiry-based techniques for improving mathematics and science teaching at the elementary school level. With each participant teaching at least 20 students per year since attending our workshops, an estimated 3,000-4,000 elementary school students have benefited from our summer programs to date. The summer workshops have focused on topics such as Hudson River ecology, solid waste management and ground water contamination, endangered species and habitats, and alternative energy sources. Perhaps the most significant manifestation of the College’s commitment to reducing the its carbon footprint is the Massry Center for the Arts. In January 2010, the Massry Center for the Arts was awarded LEED® (Leadership in Environmental Energy and Design) Gold established by the U.S. Green Building Council and verified by the Green Building Certification Institute. The Massry Center was Northeastern New York’s first non-residential new construction to be certified LEED Gold and, at 46,000 square feet, the largest. The designation certified it as one of the region’s greenest and most energy-efficient buildings. 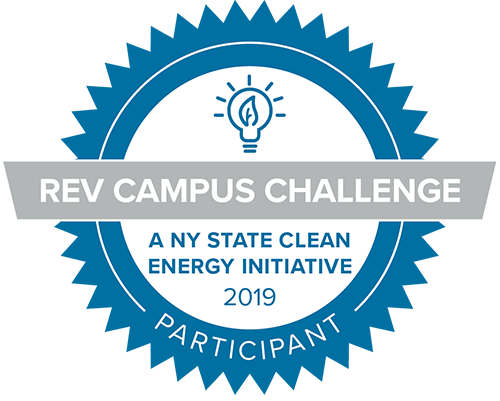 Saint Rose achieved certification for energy use, lighting, water and material use as well as incorporating a variety of other sustainable development strategies. A centerpiece of the Massry Center’s energy efficiency is its geothermal environmental control system that heats, ventilates and cools the building without burning fossil fuels. Built in 2012, the 94,000 square-foot Centennial Hall incorporates a number of “green” features to minimize its energy use and overall impact on the environment. A closed loop geothermal heat pump system with a supplemental gas-fired high-efficiency hot water boiler provides the majority of the heating and air conditioning requirements. The hall’s design incorporates materials low in volatile organic compounds (VOC) throughout the building. The thermal design and insulation of the exterior walls exceeds New York’s building code while reducing the building’s energy demand. Other energy- and Earth-friendly features, such as high-efficiency lighting and lighting controls to reduce electricity use and the use of single-stream recycling for paper, glass, metals and plastics, are included throughout. The College has made considerable progress in understanding its pattern of green house gas emissions and has acted affirmatively in both implementing strategies and in initiating planning processes which will lead to further action. The College promotes alternative transportation in a number of ways. Reserved designated parking spaces are available for Car Pools and Low Emission Vehicles. The College of Saint Rose also partners with the Capital District Transit Authority (CDTA) in a “green” initiative to provide complimentary transportation services throughout the city of Albany. All current students, faculty, staff, and administrators can take advantage of this program simply by using their college identification card. Follett’s commitment to corporate responsibility includes a shared responsibility for the environment and a commitment to sustainable practices, including practices to reduce energy consumption, recycled packaging materials, proper equipment disposal, green furnishings, equipment, construction materials, text book recycling and standards for fair labor practices. 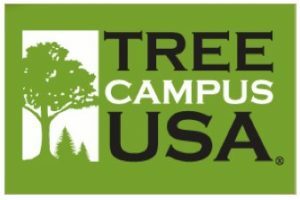 Aramark Higher Education has a deep respect for and commitment to protecting and improving our planet Earth. This commitment weaves throughout business operations every day. Biodegradable alternatives have been introduced to reduce Styrofoam, plastic and paper waste from dining services. Aramark contracts with food suppliers committed to buying as much local produce as possible. Dining services has been tray-less since 2006. Usherwood, the College’s document management service provider, recycles toner cartridges and future plans include SFI and FSC printer certification. The Canon fleet of equipment is all Energy Star rated. The College purchases approximately eighty-five percent of its computers from Lenovo. The company is highly ranked on The Greenpeace Guide to Greener Electronics. Greenpeace’s Guide ranks electronics companies on their environmental performance in three areas: Energy and Climate, Greener Products and Sustainable Operations. The College purchases office furniture from Group Lacasse and Corbett Inc., -KI who have been recognized by Greenguard Environmental Institute (GEI) for indoor Air quality Certification and Children & Schools Certification; and KLN Ironwood furniture which is from recycled steel. 99% of our office supplies are purchased from Staples who have a long line of items that are environmentally friendly – high recycled content, higher ease of recyclability, reduced energy consumption, re-manufactured, refillable items, etc. The College purchases our paper from Veritiv who focuses on programs, policies, and measurement systems that will help drive a sustainable future for the environment. Utilize “Magic Salt”, consisting of natural rock salt and an organic mixture for application during inclement winter weather. Introduced “green seal certified” custodial cleaning products. Converted to micro fiber custodial wet mops which utilize 95% less cleaning chemicals and water to operate through the life span of a mop head – an estimate annual savings of 36,000 gallons of water. Phased in Rubbermaid Pulse Cleaning System which cleans more square feet in less time. Includes microfiber, on-board reservoir, and user-controlled release of solution meaning cleaner floors faster, easier, and more effectively. This cuts down on chemical usage because less is needed to accomplish the same job. Utilize Consume® “Nature’s Way” line of chemicals: Large family of chemicals utilized daily. These sustainable products harness the ability of select microorganisms to use organic waste as their energy or food source. They have little to no negative impact on the environment and essentially, “keep cleaning” after the cleaning. They “eat” the germs and dirt. Utilize Kimberly Clark Professional Paper – Recycled Fiber Content: 65%, Post-Consumer Waste: 40%. Utilize Kimberly Clark Professional Coreless Toilet Tissue – Recycled Fiber Content: 65%, Post-Consumer Waste: 50%, 100% elimination of core cardboard waste. Network refresh projects have dramatically reduced power consumption in the Network Operations Center. This includes reducing the quantity of physical servers by using hardware virtualization and an 85% reduction in core switching energy consumption (less equipment, less electrical usage, less environmental conditioning). Recycling of batteries, paper, VHS tapes, used projector lamps, servers, computers, monitors, and any other electronics that can be recycled. The Risk Management and Environmental Safety and Informational Technology Services departments aggressively implemented an electronics recycling program to ensure that the College’s decommissioned technology equipment is recycled in an environmentally friendly and efficient manner. It is well known that discarded electronic equipment poses a significant risk to the environment. The College understands and fulfills its responsibility to responsibly recycle this equipment. Conversion of CRT computer monitors to more energy efficient LCD monitors, which contain much less heavy metals, making them less damaging to the environment. Timers on equipment, including computers, guarantee evening shut-down. Digital signage implementation reduces paper waste for advertising and computer lab signage, while enhancing campus communications. Asynchronous and synchronous virtual tools allow for lecture capture, online meetings, and less driving to campus. The College continues to implement electronic processes to reduce related costs and conserve resources. The College has recycling programs for paper and corrugated cardboard, lead and acid based batteries, printer ink cartridges, fluorescent tube lights and waste oil. “Single -stream” recycling has also been expanded to all buildings on campus. Dining Services also recycles fryer grease for bio-diesel fuel. The Print Management System in computer labs and classrooms was implemented in the fall of 2007 saving an estimated 30,000 sheets of paper per semester.